There are two ways to look at Battlestar Galactica: Blood & Chrome, the new feature film that chronicles the very first mission of young William Adama (Luke Pasqualino). On one hand, it can be seen as a kind of gift to BSG fans who were thirsty to take another spin through that particular universe. On the other, it can just as easily be seen as a dead-on-arrival exercise in milking the franchise without ultimately adding much to its legacy. Blood & Chrome was in the works for a long time (initial groundwork for the project began sometime in mid-2010) before the final product was released over five weeks in November-December 2012 online as a series of ten webisodes. 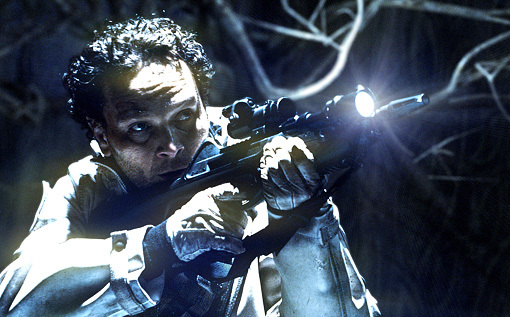 It aired on Syfy Network as a feature film a couple weeks ahead of its February 19 Blu-ray release. It’s been a weird history for this project, which at some point was apparently being looked at as a potential bona fide TV series. 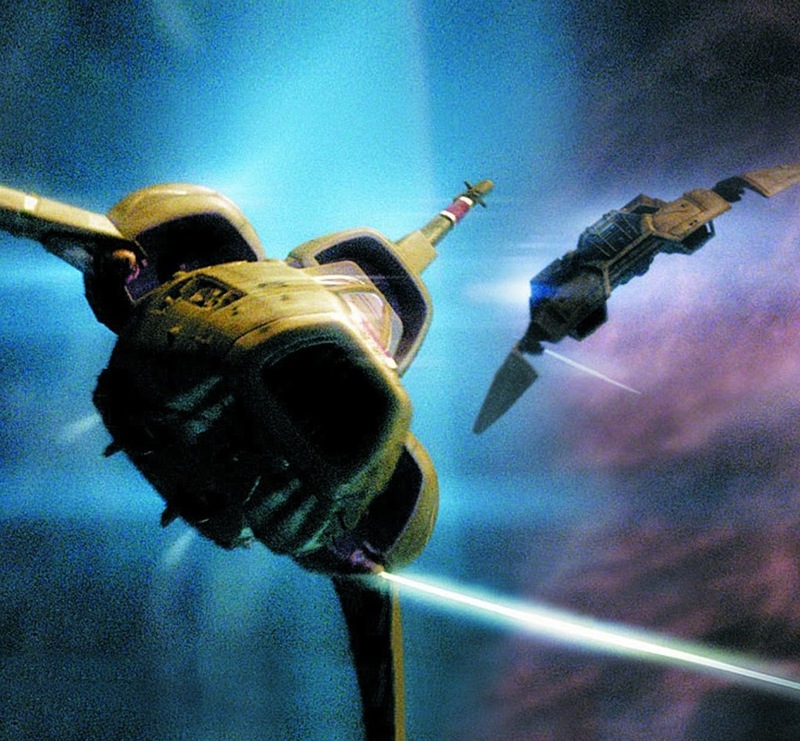 Caprica left many fans cold, whereas Blood & Chrome would’ve had more direct connection to the 2004-09 Battlestar Galactica as it was set during the First Cylon War. At any rate, it looks like all we’re getting is this movie, which is moderately entertaining truth be told. Having just graduated from the Academy, Adama is a rookie pilot assigned to a cruddy Raptor aboard the brand new Galactica. His co-pilot, Lieutenant Coker Fasjovik (Ben Cotton), is a jaded short-timer with a drinking problem. Coker nicknames Adama “Husker” and the odd couple get assigned a routine cargo run in lieu of anything really important. As fate would have it, their first run is actually more interesting and unorthodox than expected. That’s where Dr. Beka Kelly (Lili Bordán) comes into play. She’s a software engineer accompanying them on their run and, despite her civilian status, appears to be the one giving orders. As the trio heads towards their destination, Battlestar Archeron, a Cylon ship attacks as they realize the Archeron is no more. All bets are off at this point, with a fairly twist-laden story unfolding as Adama and Coker try to figure out what’s rally motivating Dr. Kelly. With none of the old BSG sets still in existence, Blood & Chrome was shot entirely against a green screen. The actors were live, everything else was painted in digitally. The results are generally impressive, though the liberal application of digital lens flares becomes a minor distraction. There’s a 22-minute featurette on the Blu-ray that goes into fair amount of detail about the visual effects. Quite an effect went into making the movie look as good as it does, though some of the exterior shots in space look like they were maybe a bit rushed. I don’t know what the budget was, but I’m guessing certain corners had to be cut . There’s also a bunch of deleted scenes (about a half hour, twice as much as what’s included on the standard DVD) that show exactly what the raw footage looked like before all the effects were added. The 1080p transfer looks as good as can be expected. The frequent lens flares and application of “film grain” to the digitally-shot footage reduce the sharpness and fine detail noticeably. More impressive is the 5.1 DTS-HD MA soundtrack. The sound design was fairly carefully crafted, especially so considering this was sort of a B-level project. The combat scenes actually sound better than they even needed to, bolstered by full-bodied LFE activity. 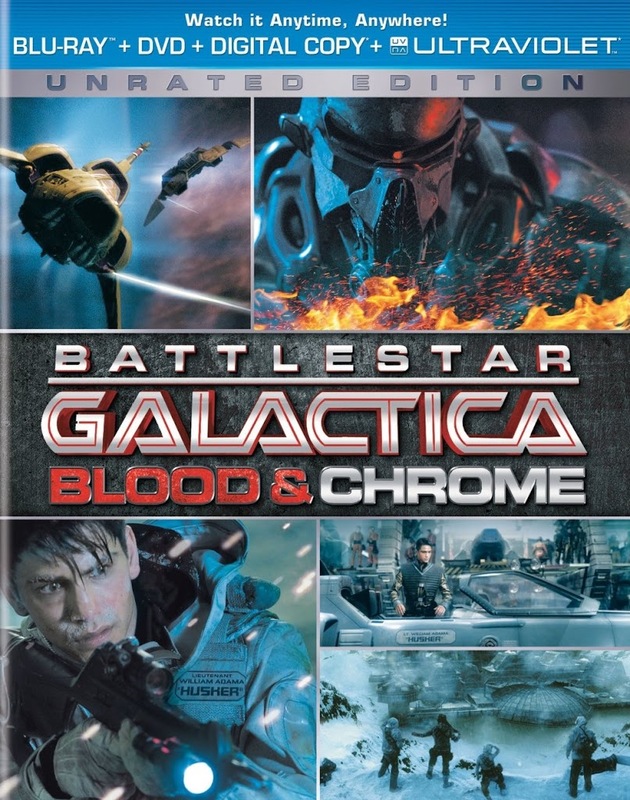 Battlestar Galactica: Blood & Chrome ultimately feels cut rate more due to the acting and writing than any limitations the budget placed on the technical side of the production. While Cotton is effective in portraying the perpetually irritated Coker, it’s Pasqualino and Bordán who seem less certain how to play their roles. Unfortunately, Pasqualino just flat out doesn’t evoke Edward James Olmos in any way. It’s not that he’s horrible as a young rookie pilot, it just doesn’t feel like Adama. As for Bordán, she’s lacking inspiration in her characterization of Dr. Kelly. Her lines readings are flat and the romantic chemistry between she and Pasqualino (yes, the story goes there) never catches fire. Check it out if you’re a big BSG fan, that’s the only audience this was directed at.